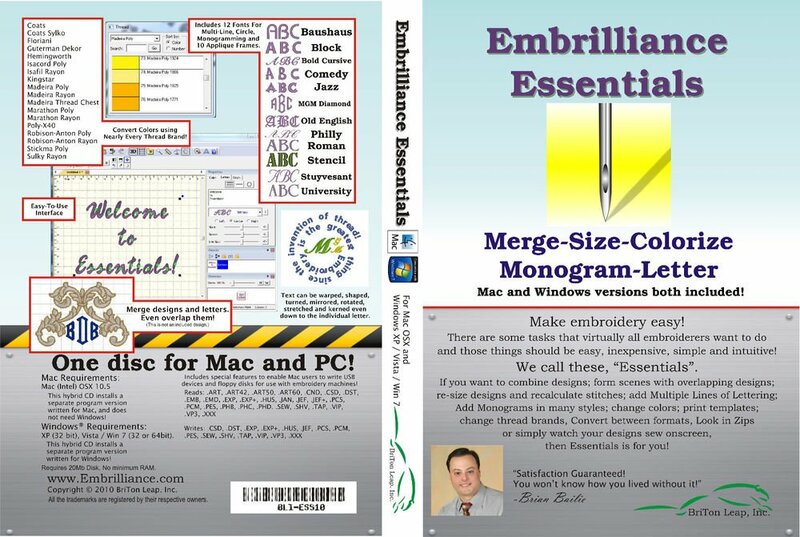 Review of the basics of this economical software with an emphasis on the additions that you can make. If you are “thinking” about adding a software program to your embroidery but don’t want a larger investment--take a look at this one. Note--we are considering offering classes on some of the add-ons to Embrilliance if there is interest--(such as Enthusiast and Alpha Tricks)--let us know!